kokedama, sounds cool huh? well it is. 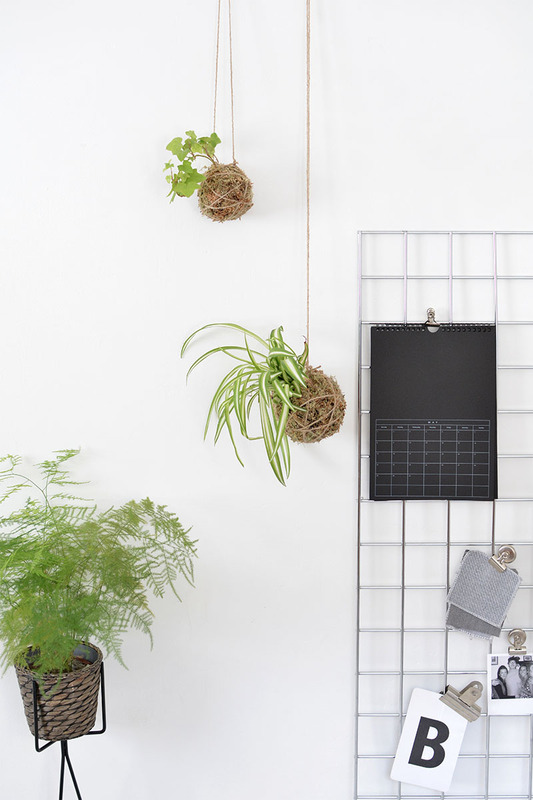 it's basically a moss ball that takes the place of a traditional ceramic planter. 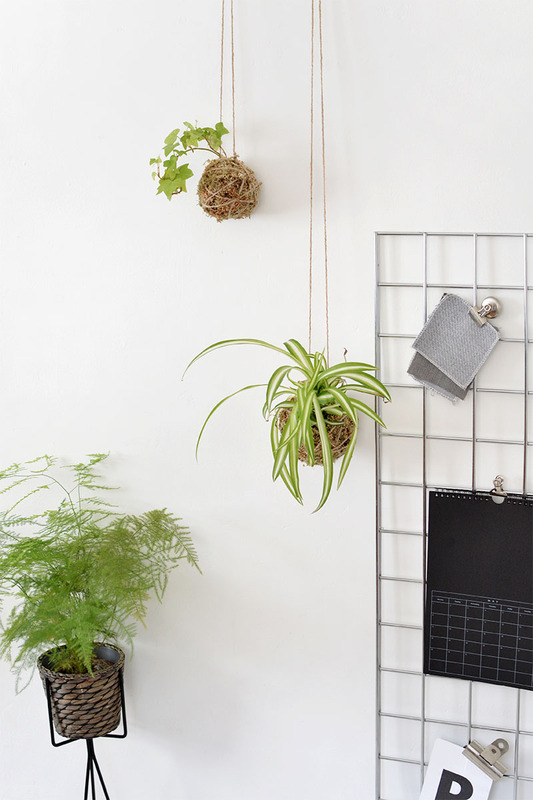 these little babies are perfect for smaller spaces enabling you to create your own indoor hanging garden.. uh-mazing! 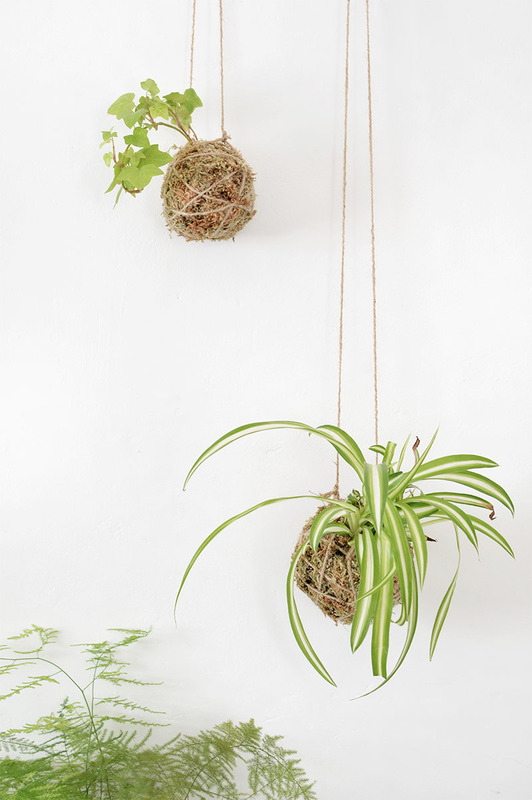 i first saw tiny versions of kokedama with succulents when i was shopping in london but it was only recently that i came across their proper name so i could find out how to make them myself. 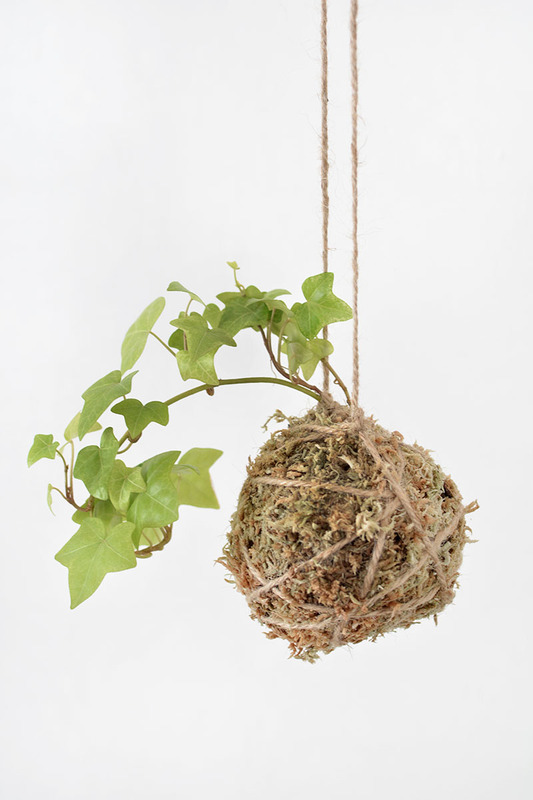 kokedama (aka moss ball) is a form of japanese bonsai switching a pot for soil, moss and string. 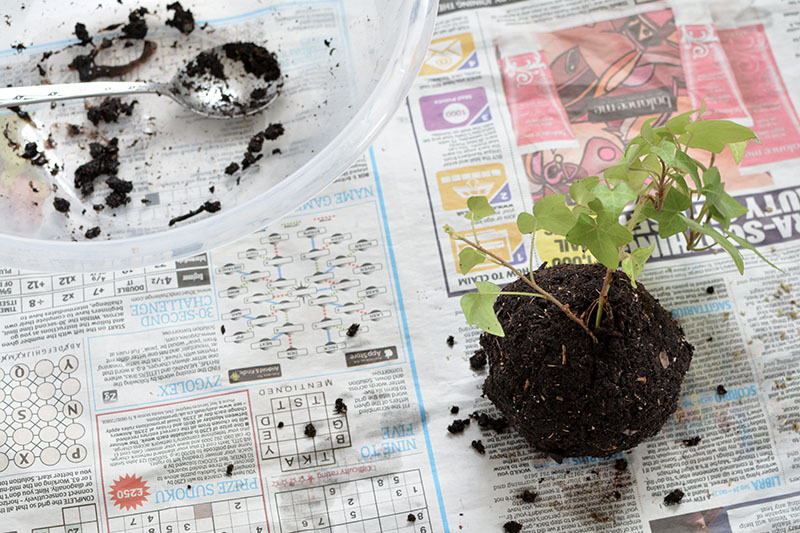 2. prep your plants, gently remove excess soil from the roots. 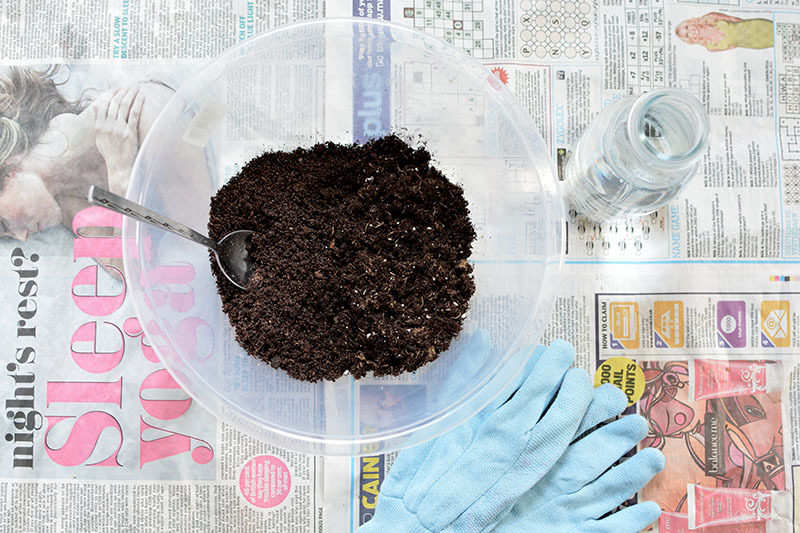 3. add water to the bonsai soil mix until it comes together. (when you can form a rough ball it's about the right consistency.) 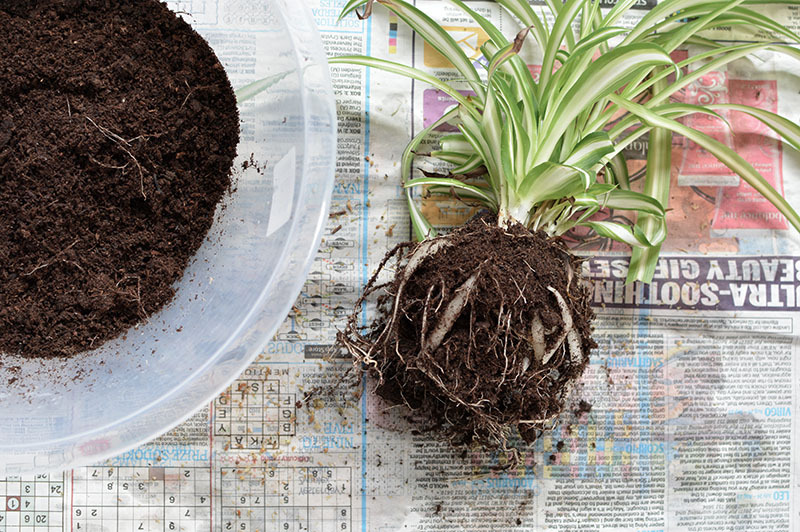 form a ball bigger than the roots of your plant, break in in half and sandwich it around the roots. 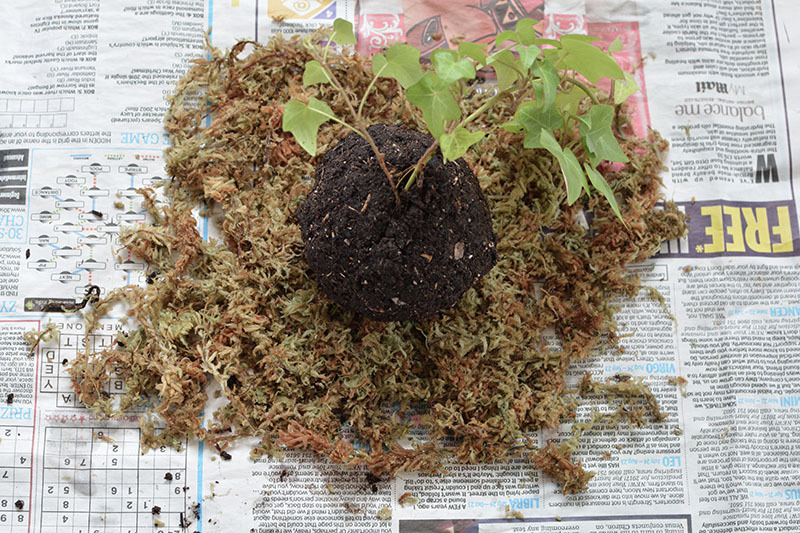 gently mould the soil mixture to reform a ball that encases them. - you may find the soil falls apart at first, add more water if necessary and just keep going. it's messy but it'll start to take shape! 4. lay out sphagnum moss that will cover the ball and hold in the moisture. (sheet moss is definitely the easiest to work with if you can get it.) cover the soil ball with moss. 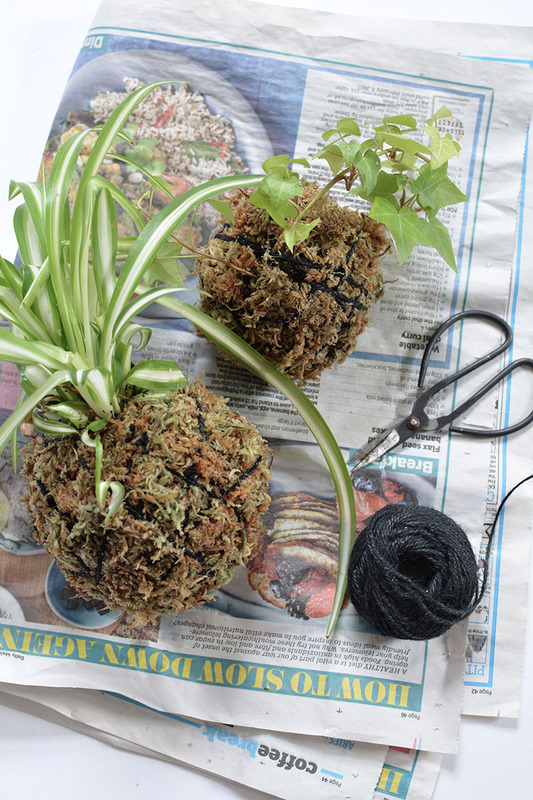 5. secure the moss by wrapping the ball with string. once finished you can water the kokedama. 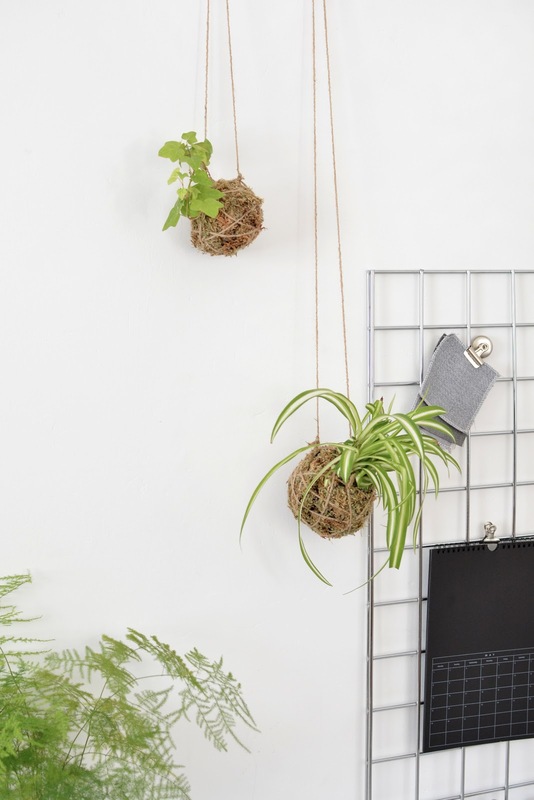 hang your kokedama to create your indoor hanging garden- the more the merrier! it's easiest to hang them out of direct sunlight if you're not the most attentive gardener as they'll dry out quicker in windows. water daily with a spray bottle or soak them in water 1-2 times a week depending on how dry they feel. 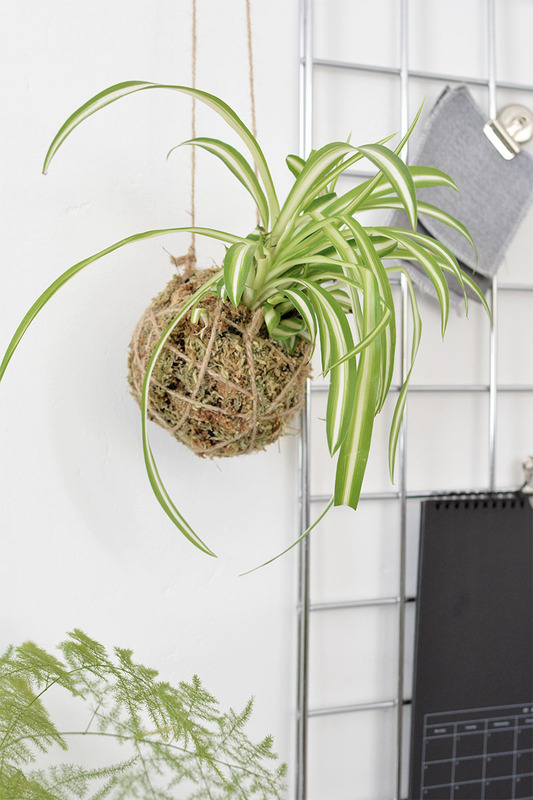 i'm particularly fond of my spider plant kokedama- it totally looks like a pineapple right? That looks just super cool, what an extraordinary idea! All the information is very impressive and very interesting and i am glad to see this kind of post.